Don't throw your old brass taps into the brass bin! 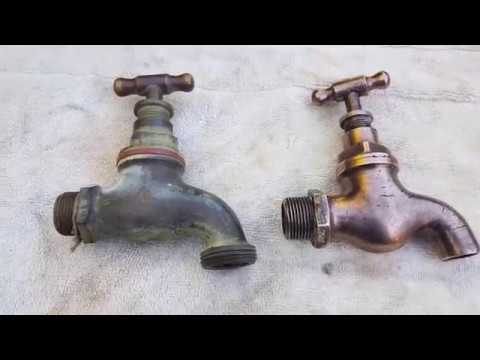 Here's an easy value-adding exercise to get much better value for your old brass taps than scrap! Brass is so beautiful when cleaned. I love it. Do you use instagram? That's awesome Scott! Love the coin rings and the chess sets are pretty cool! Nice work mate! I have plans of making electric lamps out of old drills and even floor polishers! I eventually hope to have all sorts of upcycle projects on my youtube channel! Still trying to set up a workshop at the moment - and it's been tooooo hot to do anything! Thanks so much Chris. I have ideas for electric lamps too. Though nervous about Aussie regs. Though I am a UK qualified sparky! I'm about an hour north of Melbourne Scott. I run a secondhand/antique shop and get to clean out sheds quite often which gives me a large range of scrap - and lots of things to upcycle!! I was a small engine mechanic for many years and also repaired appliances, so I have no issues doing lamps! Just gotta find the time!